You've probably been wondering, but I'm still here! I've been busy working on projects, stamp camps, and so on, but haven't been able to post for about a week. I promise to do my best not to have that happen again. Can you believe Valentine's Day is a week from today? With that said, I thought you might like to see a Valentine's Day card. 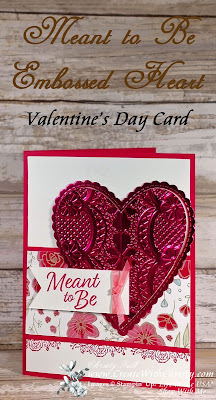 Today's card features the beautiful Meant to Be Bundle from the Occasions Catalog. 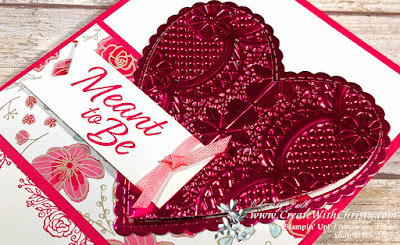 The bundle includes the Meant to Be Stamp Set & the Be Mine Stitched Framelits Dies. When you purchase these two items together as a bundle, you'll save 10%. 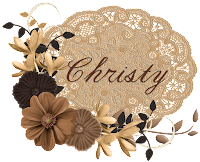 The Be Mine Stitched Framelits are my favorite hearts dies Stampin' Up! has ever had! They are so beautiful, and so much fun to play with! See the frame around the embossed heart? Both the frame and the heart were die-cut out with one die! How easy is that? They were die-cut from a beautiful piece of Lovely Lipstick foil from the Grapefruit Grove & Lovely Lipstick Foil Sheets from the Sale-A-Bration catalog. YOU CAN GET THIS FOIL FREE WITH A $50 ORDER (before shipping & tax). I then embossed the main heart with the gorgeous Lace Dynamic Textured Impressions Embossing Folder. You can find the full tutorial for this card below. All My Love Designer Series Paper (DSP): 4" x 2"
Stamp the floral border stamp from the Meant to Be Stamp Set across the bottom part of the Whisper White base layer piece using the Lovely Lipstick Classic Stampin' Pad. It needs to be stamped three times, and about a 1/2" above the bottom of the piece. Attach the DSP piece across the center of the smallest Lovely Lipstick piece, and then attach it across the Whisper White piece, along the top of the stamped, floral border. Fold the largest Lovely Lipstick piece in half (fold on the left) to form the card base. Attach the Whisper White piece to the center of the card front. Die-cut the largest, scallop heart die from the Be Mine Stitched Framelits out of the Lovely Lipstick foil sheet piece. After die-cutting, there will be two pieces...a scalloped, heart frame and an inner heart. Emboss the inner heart die-cut by running it through the Big Shot with the Lace Dynamic Textured Impressions Embossing Folder. Attach the heart frame to the right side of the card (see picture). 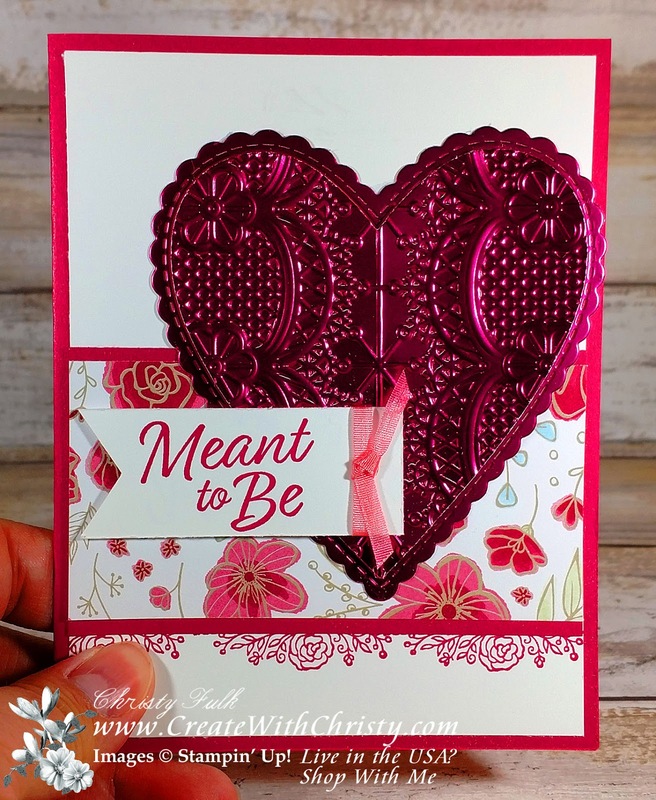 Attach the embossed heart inside the heart frame using Stampin' Dimensionals. Punch the left end of the smallest Whisper White piece by inserting it all the way into the Banner Triple Punch, using the narrowest guide in the punch. With the punched end on the left, stamp the "Meant to Be" stamp onto the left side of the banner piece using the Lovely Lipstick ink pad. Wrap the 2" piece of ribbon around the right side of the banner, and attach the ribbon ends to the back. 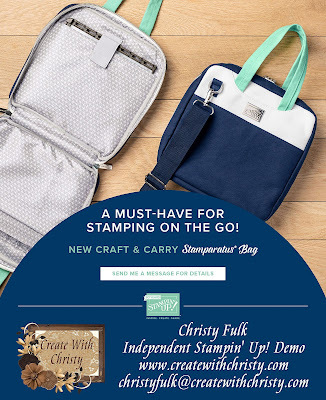 Put a Stampin' Dimensional onto the back of the punched end of the banner, and SNAIL Adhesive onto the opposite end. Attach the piece to the left side of the card. The right end should be on the heart, and the rest of it should be over the DSP. Tie the 3" piece of ribbon onto the attached ribbon using a single-knot. Trim the ribbon ends at an angle. Click on the Doily Picture Above to Find Out How!